We're starting out this week with exclusive access for the BEACON community! Join us in VIP at the Local First Awards, learn how to blend tech + social impact at the Public Good App House, connect with entrepreneurs and business professionals at ForoMET, then tackle your venture's toughest challenges with a design sprint workshop! Celebrate the makers, entrepreneurs, and businesses who make DC unique, and who create positive impact across the city. Join Think Local First DC for the Inaugural 2017 Local First Awards. Think Local First advocates for local economy leaders, and addresses economic, environmental, racial, and social equity so everyone can enjoy shared progress in our rapidly changing city. As a way of saying thank you for your contributions to the city we all love, Think Local First is offering a limited number of VIP tickets to Beacon. Since Think Local First DC has existed for 11 years so we thought it was only appropriate to offer these exclusive tickets to you for $11. Interested in how technology can solve the world’s pressing problems? 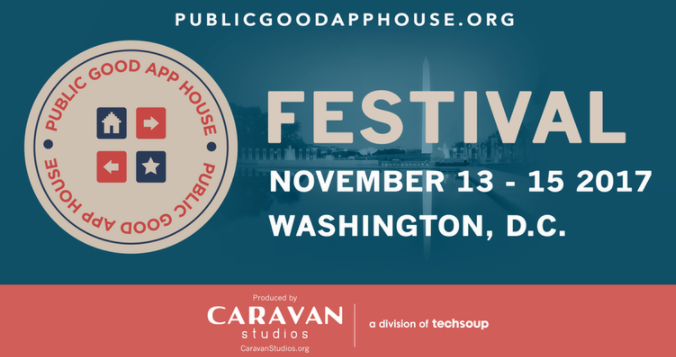 Register to attend The Public Good App House: Festival of the Americas. This FREE event brings technologists and engaged community activists together for app demos, hands-on workshops, discussions and lectures focused on public good technology. In celebration of International Women's Entrepreneurship Day (Nov 19th), BEACON is thrilled to partner with MET Community and IE Business School to host the second annual FOROMET-DC. The event will feature a pitch competition among women-led startups, networking opportunities, and engaging discussions. In celebration of Global Entrepreneurship Week, Create& will host a "Intro to Design Sprints" workshop where participants will learn the five-step innovation framework inspired by Google Ventures and refined to include elements of improv, storytelling, and equity-centered design. This hands-on workshop is offered exclusively to BEACON community members for 40% off. Interested in partnering with BEACON to collaborate on innovative programming or amplify your resource for women entrepreneurs? Submit a partnership request form today!